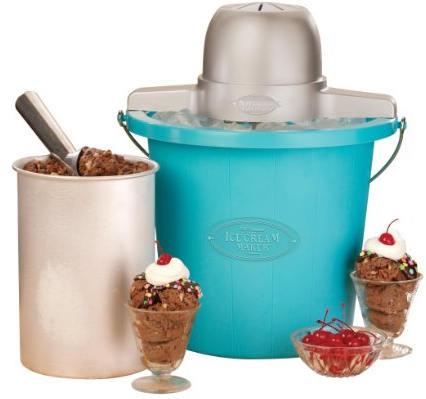 4-Quart Electric Ice Cream Maker Only $24.33 PLUS FREE Shipping With Prime! You are here: Home / Great Deals / Amazon Deals / 4-Quart Electric Ice Cream Maker Only $24.33 PLUS FREE Shipping With Prime! Have you ever tasted homemade ice cream? You will never want to go back to store bought after using the 4-Quart Electric Ice Cream Maker for Only $24.33 PLUS FREE Shipping With Prime! Make your own ice cream all summer long with this great deal! Get yours NOW! Make sure to sign up for your FREE 30-day trial of Amazon Prime to take advantage of FREE shipping!